This is the final week of our exploration of different types of sparkling wines –Champagne included, of course – so you’ll be able to make a great choice for your New Year’s Eve occasion. Rather than an exhaustive explanation of champagnes and sparkling wines, this series is meant to provide an overview. We’ll give specific examples, both classic and new. Read the descriptions and you’ll be able to find something similar if your wine shop doesn’t have any of the brands mentioned here. Most champagnes are blends of wines from several harvests, but vintage champagne is special. Vintage champagnes are made only in the finest years. This occurs a few times a decade, when the changeable weather in Champagne allows. Most champagne makers produce their vintage champagnes in the same years because the harvest tends to be similar throughout the region, but there are occasional variations to this rule due to variations in climate and other factors. 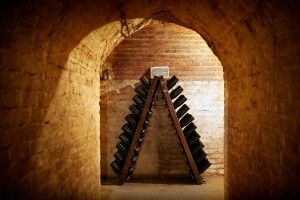 Vintage champagnes are usually aged by their producers at the winery for eight, ten or more years. The current vintage champagnes you’ll find in stores this season are mainly 2003, 2004 and 2006, though you will find some older or younger. Seeing the year on the label lets you know that it’s a vintage champagne. It’s important to note that vintage champagnes are ready to drink when they are released for sale. Getting to the matter of taste (finally), vintage champagnes are distinguished by their incredible balance and depth on the palate. Layers of complexity are a highlight of the experience of drinking vintage champagne. 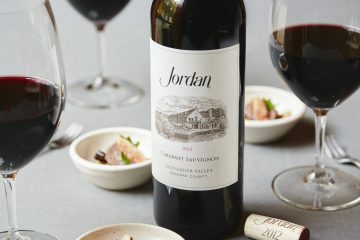 Aromas and flavors display heady notes of toast and/or yeast, along with hints of delicate florals and fruits extending on to the palate, with incredibly lively acidity. All of this leads to a long and luscious finish – and a longing to sip some more. This is one place where winemakers can show off their skills in selecting grapes from specific vineyards, in vinifying each lot separately and blending the finished wines to exhibit the finest qualities of the vintage, augmented by their choices in components such as yeast, dosage and bottle aging. Is it lack of knowledge that prevents many people from buying vintage champagne? If you want to know what to purchase, look for the current releases; they are mainly the $100 to $200 range in a wine shop. This pricing is well worth it for a distinctive New Year’s Eve celebration. Excellent vintage champagnes come from both established champagne houses and new champagne producers. 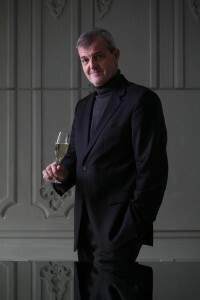 Even the great champagne coöperative Nicolas Feuillatte is now in the game, with its 2002 Palmes d’Or and 2005 Palmes d’Or and Brut Rosé in special bottles this season. Is it fear of being thought a wine snob that makes people hesitate to order vintage champagnes? If so, forget it: New Year’s Eve is the best time to be a snob it up. I’ll have the vintage champagne, please! If you’re delving into vintage champagnes, you might want to have deep pockets – or friends with great cellars. I was recently invited to taste a selection of Piper-Heidsieck Rare champagnes, from the current 2002 back through time to the 1976 vintage. And while I know intellectually that some vintage champagnes can remain vibrant for decades, it was quite amazing to actually taste this for myself. Winemaker and cellarmaster Régis Camus led the recent tasting in New York. Here is an example of the evolution of vintage champagne, as illustrated by my tasting notes. After the beautifully fresh 2002, the 1999 Piper-Heidsieck Rare Champagne was rich with yeast, toast and fruit, a bit of floral and spice, consistent from aroma through palate and finish. Great crisp acidity in the long finish. The 1998 was only made in magnum, and wines in larger bottles are known to age more slowly. Camus said the magnum also offers more bold aromas, and he found Asian notes of cedar, sandalwood, orange trees and cocoa. I also found aromas and flavors of dark toast. This wine is very mineral, with fresh, lively acidity. In the 1990 I found more fruit, seashore and honey notes. 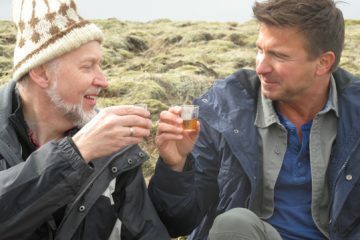 Apple and honey also came to mind on the palate and in the finish. It had good structure, but a shorter finish. Camus said the wine was on its second wind. Going back further, the 1985 was not nearly as wonderful, with its acidity at half-mast. However, the 1979 had wonderful acidity; it was lively, with baking spices dominating, and tasted very youthful. The 1976 was another wonderful discovery. Apricot gold in color, it had plenty of acidity and tannins, with apricot notes on the palate – incredibly lively, especially for a wine that was disgorged in the mid-1980s; unfortunately there are only a few bottles left in Piper-Heidsieck’s cellars. While this is not a recommendation to age vintage champagnes at home, with perfect cellaring conditions fine vintage champagnes can last 20, 30, 40 years. Or not – in the case of the 1985, which I could not find on the market when I was checking prices this week. In a wine shop (not a restaurant) pricing for the 2002 vintage of Piper-Heidsieck Rare is around $160. For the older wines, the 1999 is around $300, the 1998 around $200, the 1990 around $300, the 1988 about $340, and the 1979 is around $1,290. As you can see, the pricing is not directly reflective of either the age of the wines or of my recent tasting experience tasting; some of this is due to availability, and some due to other factors including demand for older vintage wines, reputation and reviews from the time of a wine’s release. As in many areas other areas of the wine world, new sparkling wines are being produced under new parameters. In Champagne, winemakers are looking toward organic and even biodynamically grown grapes. They are spending more time getting to know individual vineyards, too, so “single vineyard” champagne is becoming more popular. Here, the winemakers challenge themselves to make their finest wine from a tiny parcel of select vines. 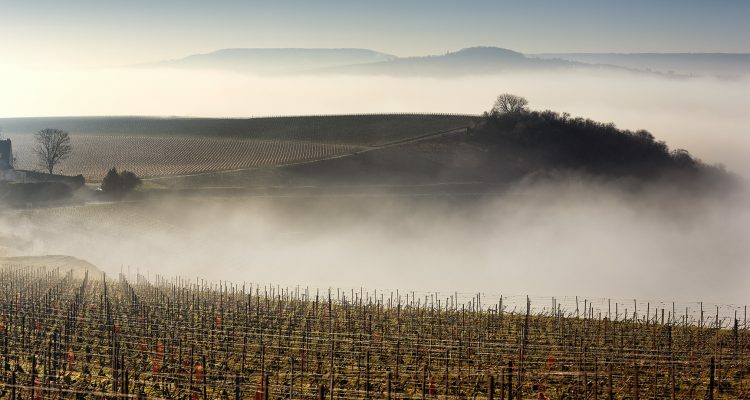 A vineyard may be exceptional for many reasons: the age of the vines, the type of soil, which direction it faces (for sun and wind exposure), location, altitude, and how the vines are grown. 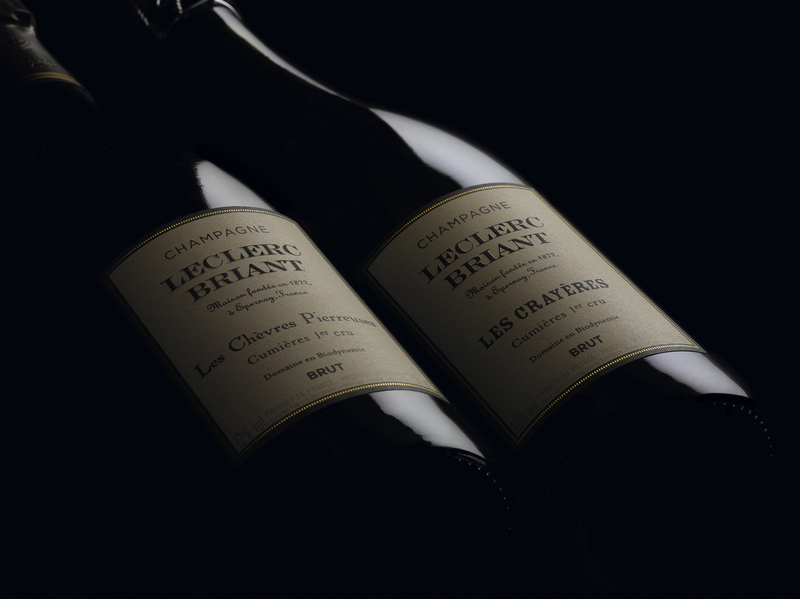 Champagne Leclerc Briant, which is being re-introduced into the US after an absence of many decades, creates a range of single vineyard champagnes. They use their own biodynamically grown grapes and they also buy grapes from a few biodynamic farmers. A few days ago, the cellarmaster at one of the big champagne houses, Champagne Louis Roederer, declared that the future of champagne is biodynamic. Again, what we find in well-made champagnes like these is incredible complexity, layers and depth of aromas and flavors: white flowers, red fruits, honey, crisp apple, yeast, toast and good structure with lively acidity. Looking forward to it!